Our practice offers Herbst appliance therapy to treat severe overbite cases that do not require patient's compliance. 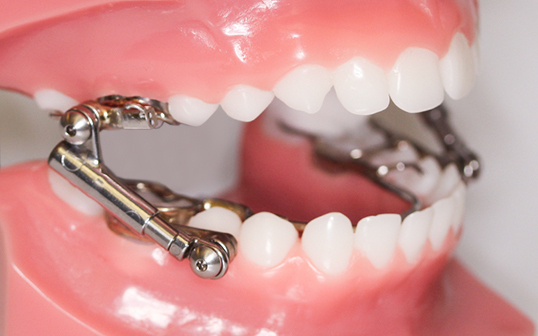 Herbst appliance is a fixed dental-facial orthopedic appliance and can be prescribed by our orthodontist to stimulate mandibular jaw growth, modify facial and musculature adaptation, and improve facial appearance. Herbst appliance combined with braces delivered during optimal growth phase can significantly improve facial balance and aesthetic appearance. Proper timing and treatment therapy can make a significant difference in the outcome and reduce risks of jaw surgery required later on in life. Schedule a consultation as soon as you spot a bite issue in your child and get proper advice and treatment needed from a Board Certified Orthodontist.